Gospel singer Alex Apoko alias Ringtone has come out to set the record straight about his alleged romantic affair with ratchet socialite Pendo. 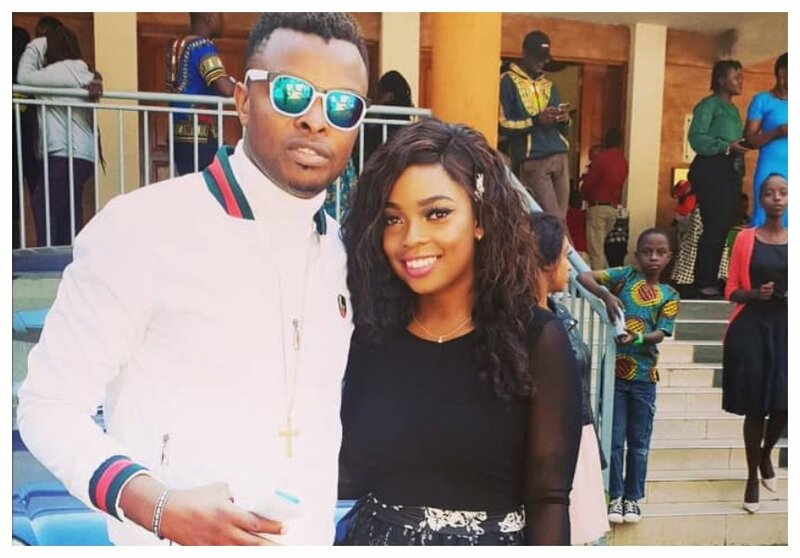 Rumors ran rife the two were dating after Ringtone showed up at Deliverance Church in Kasarani on Sunday January 20th while in company with Pendo. MondayBlues recently published a story detailing Ringtone’s love affair with Pendo. The daily claimed that Ringtone and Pendo had also been spotted shopping together at Karen mall. Last Saturday the pair spent the entire day giving clothes and food to Korongocho residents. Pendo was also reportedly seen driving Ringtone’s Range Rover. Ringtone has since come out to deny claims that he is in love with the Nairobi Diaries actress. He stressed that he was still single and that he was only in love with Jesus alone. “Am only in love with JESUS all of you are my brother and sisters. ,” wrote Ringtone.